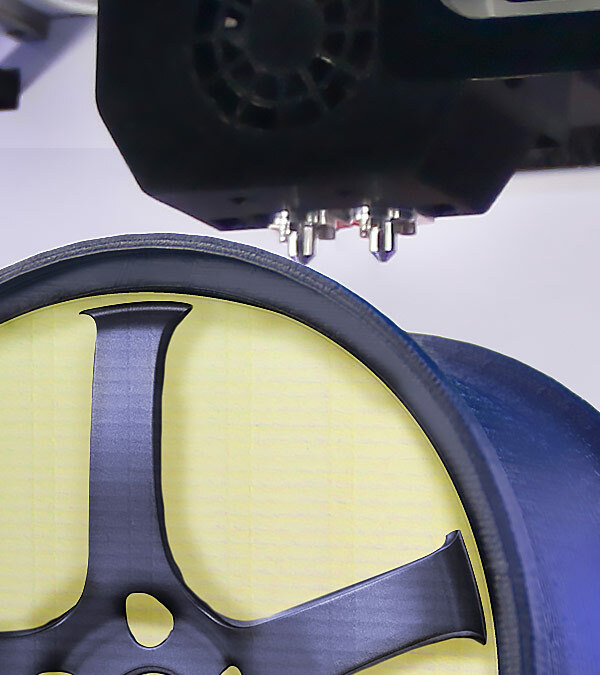 Manufacture the highest quality parts possible on an industrial 3D printier, thanks to proprietary Tri-Heat™ technology that warms the chamber and dries the filament within. 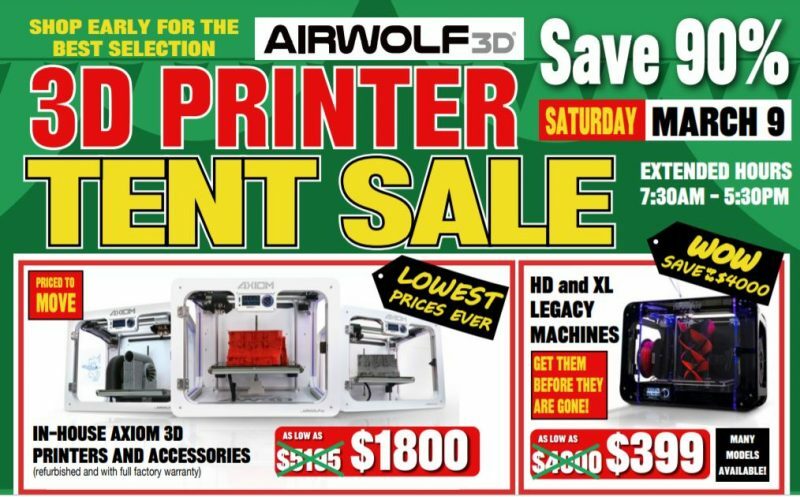 Fill out our form to receive a free Airwolf 3D sample part. 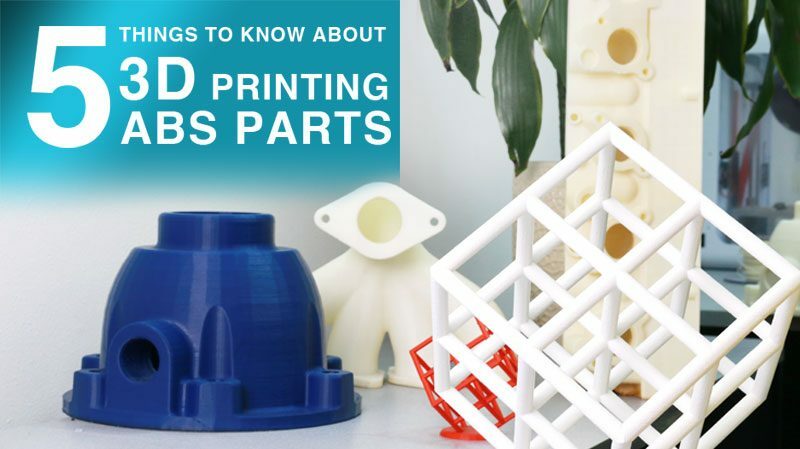 Part is printed with ABS thermoplastic. Sample part program is limited to US addresses only. Sleek, but ultra-rugged, the EVO easily handles mission-critical applications even in the harshest conditions. Input "100 – 240 V 4 A, 50 – 60 Hz", Output "221 W max. 24 V DC, 9.2 A"
Where can I find the EVO User Manual? 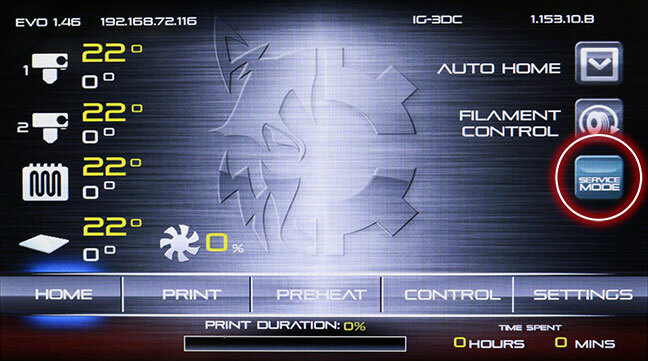 What is the EVO Owners Program? The EVO Owners Program is designed to give you the unparalled service you expect when purchasing a best-in-class machine. 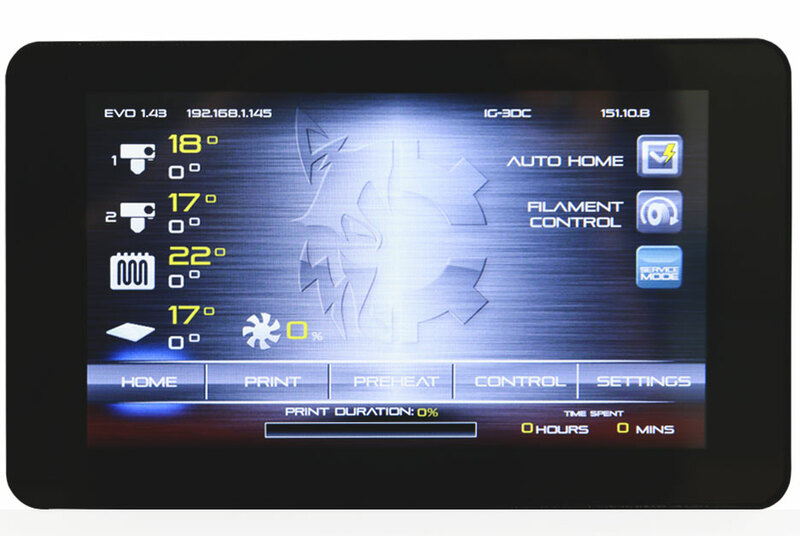 VIP benefits of EVO ownership include White Glove Service, access to key firmware updates, prioritized feature requests, and early access to hardware upgrades and beta products. To ensure that you receive all the benefits that come with EVO ownership, please be sure to register your machine. 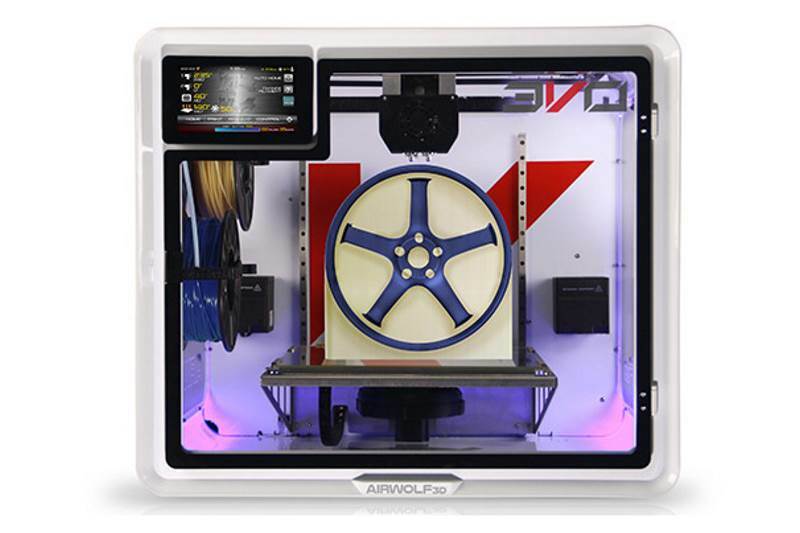 What is the build volume of the EVO? 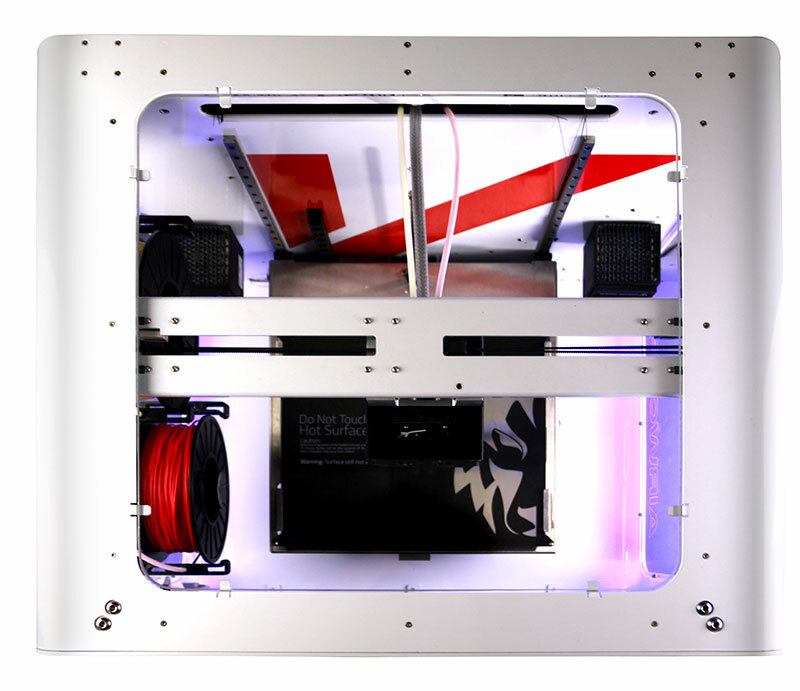 The build volume of the EVO Additive Manufacturing System is: 12 x 12 x 11 in. What are the actual dimensions of the machine? What is EVO's resolution/minimum layer height? 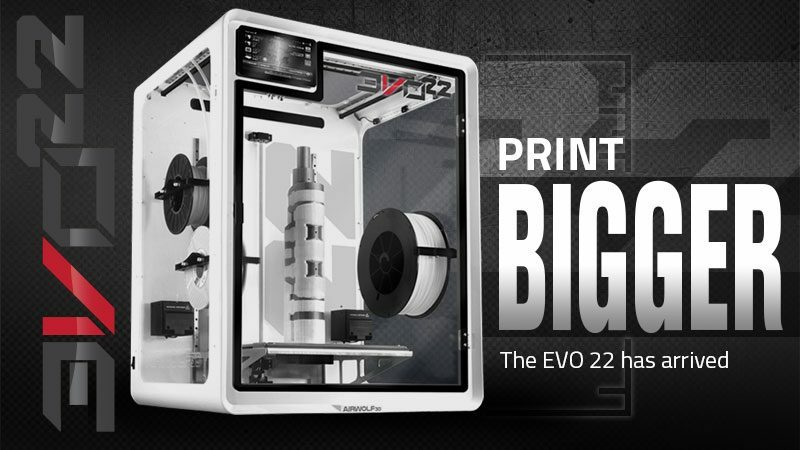 The EVO's minimum layer height is 40 microns. However, 200 or above is recommended. 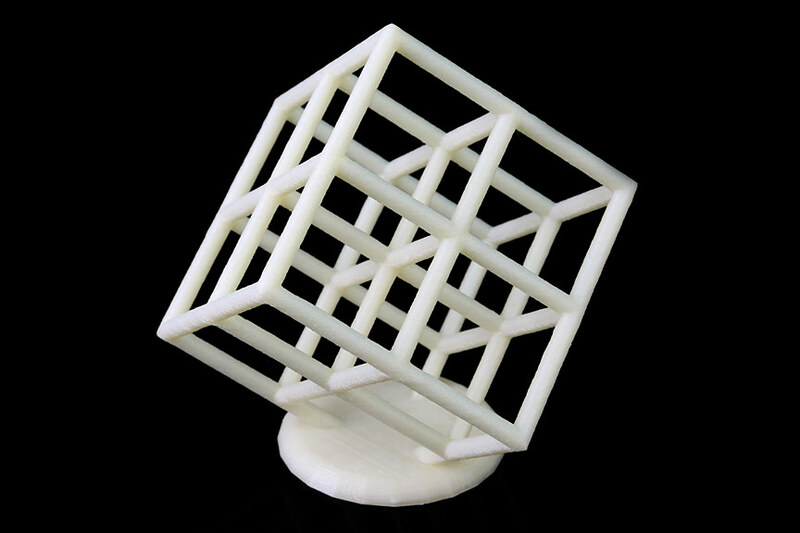 What materials can the EVO print in? 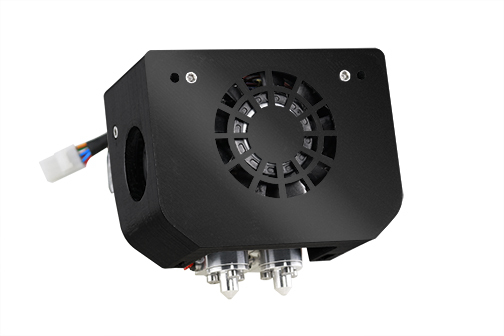 The EVO's proprietary high-temperature, jam-resistant dual AX2 hot end prints in all materials with print temperatures up to 320 degrees, including metal filament. 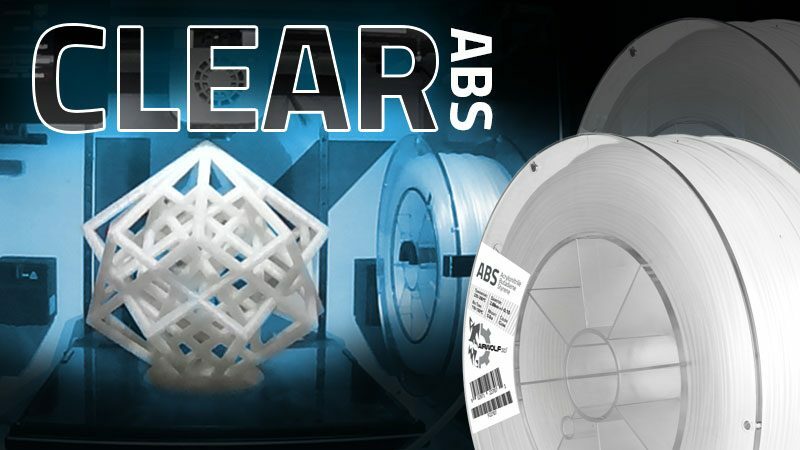 Thanks to the Tri-Heat™ Enclosed Build Environment's superior thermal management, you can print even large parts out of high-temperature materials like ABS, polycarbonate and polypropylene. 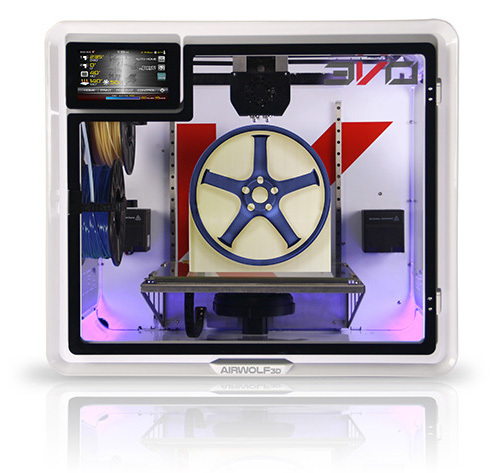 For best results, always choose high-performance, engineering-grade materials like the filament tested and certified by Airwolf 3D. What is the current lead time on the EVO? 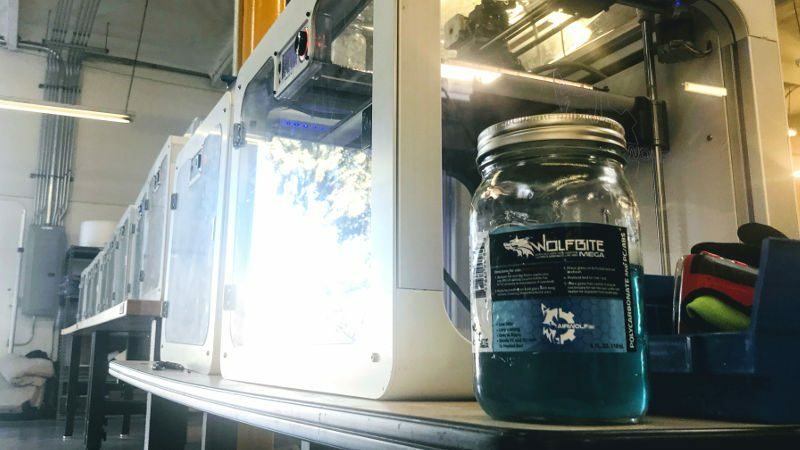 For current lead time on the EVO Additive Manufacturing Center, please give us a call at (949)478-2933 or email sales@airwolf3d.com. What Metal Material Can Be Used With the EVO? The current material tested with the EVO is Ultrafuse 316LX by BASF. 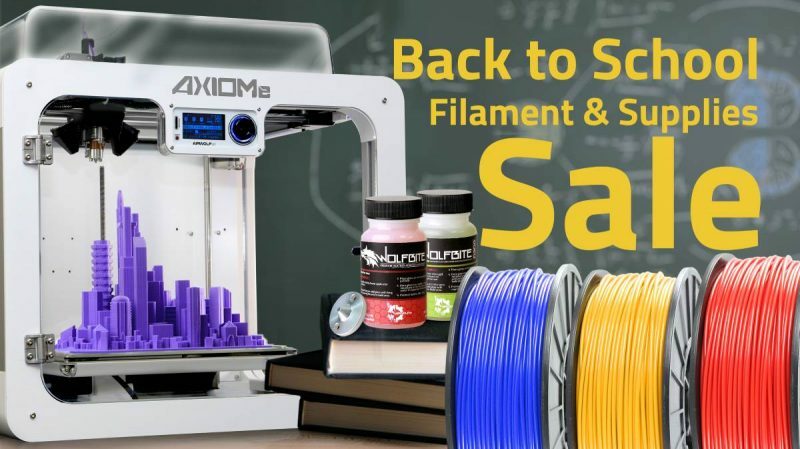 The filament is a 90% 316 stainless steel and is designed for use with the same debinding and sintering processes used in traditional metal injection molding. How Much Does the Material Cost? 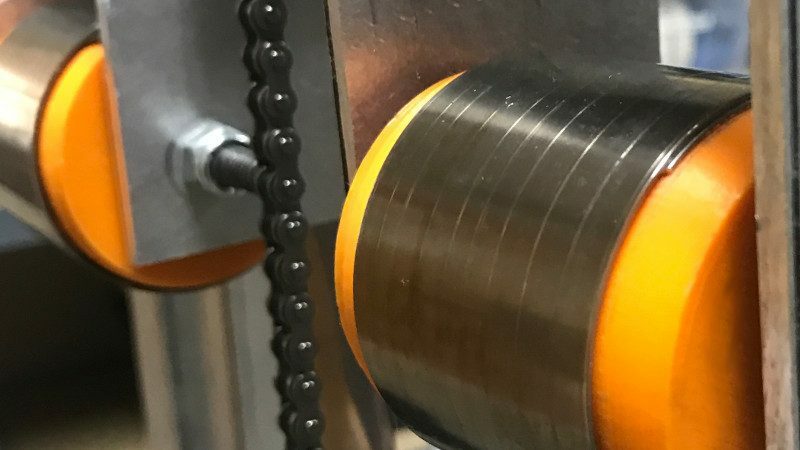 The cost of the material is estimated to be around $150-$200/ pound and may include prepaid debinding and sintering services by an authorized provider. If you'd like, you also can choose your own service provider. What Level of Precision Can You Get With the Material? 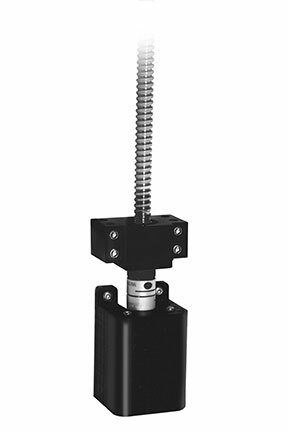 Precision of your end parts is determined by your printer settings and the shrinkage factor of the metal once all of the binder is removed. Based on the Catamold data from BASF and test printing, you can expect approximately 20% shrinkage. How Strong are the Metal Parts? Strength of the 3D-printed parts is similar to the strength of metal-injection-molded and forged parts. We are working on releasing data comparing the strength of parts created using these production methods. Where Can I Learn More About Metal Printing? 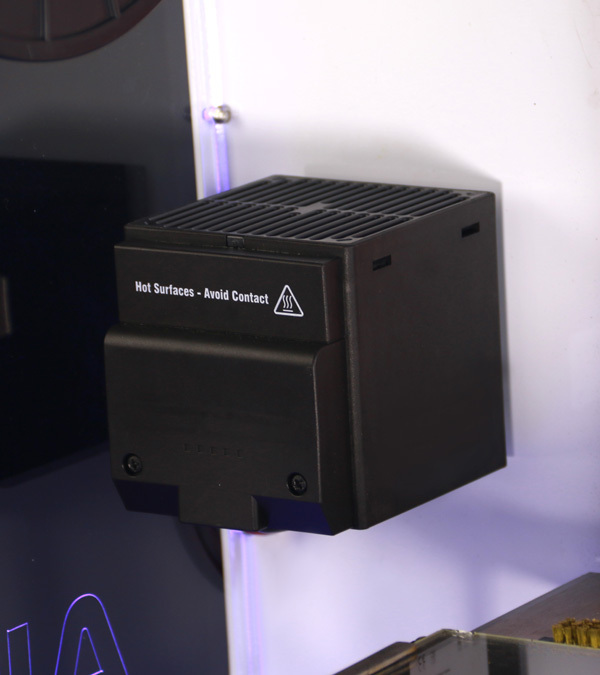 At the 2018 Design & Manufacturing Show in Anaheim, CA, Airwolf 3D Co-Founder and CEO Erick Wolf gave a presentation entitled “Metal Printing for the Masses,” in which he explained how anyone can 3D print in metal. The presentation and transcript is now available online: Metal Printing for the Masses.